Our health & safety program is extensive and has been developed in order to ensure that we will provide and promote a safe and healthful work environment and will foster a positive safety and health attitude in managers, supervisors, employees, and others (including visitors and contractors). Our goal is zero incidents and injuries, we aim to achieve this through continual training, cooperation between managment, supervisors, employees and co-workers, fostering of proper safety attitudes, provision of all current mechanical and physical safeguards for personal health and safety and strict enforcement of our policies. It is the policy of Protocol2 Air Sciences Inc. to continually develop and maintain a current occupational health, safety and environment program focusing on prevention of and protection against injuries and illness, and promotion of safe and healthful actions and attitudes, not only in Protocol2 Air Sciences Inc. employees, but also in other individuals who may be affected by its facilities and operations, including visitors, contract employees from private businesses and persons in the surrounding community. The prevention of occupationally induced injuries and illnesses is of such consequence that it will be given priority over operating productivity where necessary. Furthermore, the program shall meet or exceed all federal and provincial regulations or guidelines pertaining to health and safety issues. Protocol2 Air Sciences Inc. previously held their Small Employer Certificate of Recognition (SECOR) since 2006. 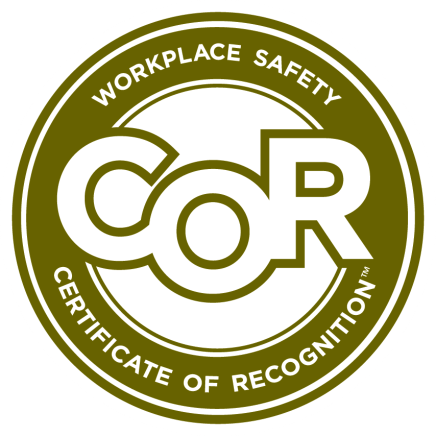 In 2017 we achieved COR status for our Health & Safety Program through the Alberta Construction Safety Association (ACSA). To ensure compliance and quality our entire Health & Safety Program is externally audited once every three years. Internal maintenance audits are conducted on an annual basis. We are also members of ISNetworld, ComplyWorks, Avetta, CQN Advantage and Cognibox to ensure compliance and transparency of our Health & Safety Programs to our clients, while meeting the prequalification, risk management, quality, regulatory, procurement and sustainability requirements of our clients. We have a close working relationship with LCI who operate out of our building. LCI is a multifaceted health and safety company providing technical high angle and confined space rescue. 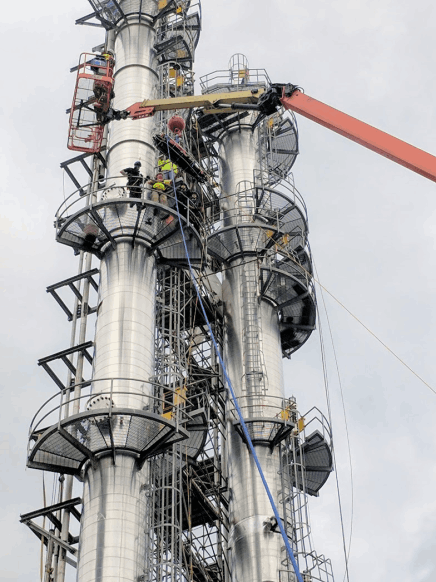 Offering both of these services allows Protocol2 to simplify projects for our clients who require high angle rescue personnel onsite during our emission testing projects. All project organization is coordinated out of one office. High angle rescue teams travel with the Protocol2 personnel allowing for precise project timing, optimization of onsite project hours and reduced travel costs. All rescue personnel have NFPA 1006 Level 3 training which includes advanced hazard recognition and rescue techniques.